“I was born into a wonderful Mormon family, and as I grew up I found few reasons to disbelieve the teachings of the church. My parents had deep faith in its precepts, and their example and encouragement were powerful–I believed in my parents, and I knew that they believed the gospel of Jesus Christ. It was not until I was 24, however, that I came to know these things for myself. I had been given a Rhodes Scholarship to study at Oxford University in England. After I had lived there for a few weeks, far away from the supportive environment in which I had been raised, it became clear that adhering to Mormonism in that environment was going to be very inconvenient. In fact, doing the sorts of things I described in the first part of this essay within the Mormon congregation in Oxford would preclude my participation in many of the things that had made Oxford such a rich experience for prior recipients of my scholarship. I decided, as a result, that the time had come for me to learn for certain and for myself whether Mormonism was true. that I needed an answer to this question – because if it was not true I did not want to waste my time with this church and would search for something else. But if it was true, then I promised that I would devote my life to following its teachings, and to helping others do the same. I then would sit in the chair and read a page in the Book of Mormon. I would stop at the bottom of the page and think about it. I would ask myself what the material on that page meant for the way I needed to conduct my life. I would then get on my knees and pray aloud again, asking the Lord to tell me if the book was true. I would then get back in the chair, turn the page, and repeat the process, for the remainder of the hour. I did this every evening. In both headlines the words “admits for the first time” and “finally admits” imply that this knowledge was never admitted before. David Grant wrote a post for LDS.net from which I’d like to quote. I like the way he says it. “For instance, the word, “admits,” is charged with accusation that there had been a previous denial of some kind. On the contrary. Off the top of my head I can think of three definitive declarations that attest to the practice of polygamy early in church history: Section 132 of the Doctrine and Covenants, a 1905 Improvement Era article by Prophet Joseph F. Smith, and a 1992 Ensign article. “It may be astonishing to some, and they may think me delusional, dishonest or brainwashed, but I can look at all of the evidence, including Joseph Smith’s marriage to a “14-year-old bride,” and still say without hesitation that his claims are truthful. That he saw the heavenly beings he said he saw and that the Book of Mormon is divine scripture and his role in bringing it forth is reported accurately. 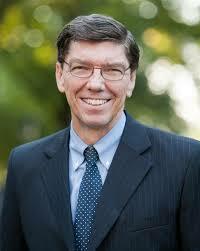 He cites individuals in Joseph’s time and in our modern times who have “come back” to Joseph. Individuals who resolved their questions. I, like David Grant, have shelved my doubts. I recognize that many haven’t been able to “shelf” with doubts. I have no criticism of them. Spiritual work and a testimony of the Book of Mormon have buoyed me up. I think every woman at some point of their spiritual journey in the LDS church has had to come to terms with plural marriage. I think most men have also, but I don’t think it’s such a “hot button” for them. At least, not what I have noticed. My approach to difficult questions are to always come from a framework of faith and seeking to understand. Because of I have a firm testimony of the truthfulness of the Book of Mormon and the restoration of the gospel through the prophet Joseph Smith, I have had questions and a lack of understanding, but not doubt. Lest one think the journey of faith has been easy, let me assure you the questions have sometimes been HUGE. I don’t have all my questions answered, but I can live with that. Faith can co-exist, in fact, always does, without complete understanding. Richard Bushman who wrote “Joseph Smith: A Rough Stone Rolling” said that we simply cannot understand plural marriage in our day and time and culture the way Joseph understood it. That may seem like a cop-out to some, but to me it is satisfying. I’ve had my soul searching issues that I’ve sought answers for in prayer, temple attendance and increased obedience. Some I’ve had a resolution with, some not. I’ve relied on the testimonies of prophets, apostles and other respected mentors in my life to get me through those times. I’ve often felt like Peter when the Lord asked him if he would also desert him as many others had. Peter said, “Lord to whom shall we go? 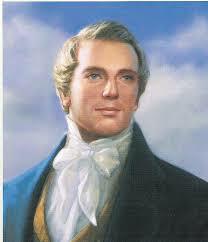 Thou hast the words of eternal life.” I sometimes feel the same way about the prophet.Joseph. He restored all the beautiful doctrines of the restoration that I love. If I desert him, I lose so much of what I hold dear. I have a testimony of the truthfulness of the Book of Mormon. That I cannot deny. That has carried me through some rough times. It’s not the purpose of this blog to go into the details of plural marriage. The church has done am excellent job of that with their posted essays. I have always known about plural marriage in the church. I’m a product of polygamous marriages. I’ve know that Joseph practiced plural marriage. I knew that it was a source of great conflict with Emma. I’m surprised at the people who said they didn’t know these things. When the church posted the essays of plural marriage, my reaction was this is not new information, only more detail. Moreover I was encouraged and uplifted by the church’s essays. They were honest. They relied on known facts. Nothing was whitewashed. The difficulties were spelled out. As the record states: “Many details about the early practice of plural marriage are unknown. . . . The historical record of early plural marriage is therefore thin: few records of the time provide details, and later reminiscences are not always reliable. Some ambiguity will always accompany our knowledge about this issue. Like the participants, we “see through a glass, darkly” and are asked to walk by faith.” It was made clear that those faithful early saints initially abhorred the thought of plural marriage. Through deep and earnest prayer many gained a testimony of the truthfulness of the principle. How I admire them! What a trial of faith! I can’t think of a greater trial of faith. Here is what Lucy Walker recorded. “So, I determined then to take that to the Lord and it was one of the most interesting experiences of my life. The scriptures talk about having the Spirit give you words—give you words to pray when you don’t know what you should say (e.g., Romans 8:26, 3 Nephi 19:24). Well, I thought I knew what I was going to say, but apparently that wasn’t what I was supposed to say, so I ended up saying something quite different from what I knelt down intending to talk about. Somewhat to my surprise, I found myself telling my Father in Heaven what bothered me and instead of begging him for answers or insisting upon them (as I had half planed to do) I found myself telling him that I would not forsake him, that I would not forsake our relationship, that I was not going to turn my back on it or on him. And, that I was not going to abandon my covenants. I told him that come what may, I would do whatever he wanted me to do. And then, I asked him if it would be spiritually dangerous for me to commit the kind of time and energy and effort and intellectual work that this project would probably require. “I thought this was going to be the first of many struggling prayers over the issue. But God is gracious and he told me very clearly that I was quite free to investigate it, that it would all work out, though he gave me no idea of how or in what way, and that I had nothing to worry about. And here I am, four years later, talking about it—you must be careful what you ask for, you may get it. I almost think he was a little bit unfair! If I had known this was part of the deal—I did not bargain for this. I did not set out to be the person people ask about plural marriage. Anyone out there who wants the title can see me after. . . I feel much like Greg Smith. I have committed to Father that I trust Him and I will be true to the covenants which I have made with Him. My intent in writing a blog is to introduce sincere investigators to the Book of Mormon. I want to help others learn about the Book of Mormon. I hope my readers will begin to read the Book of Mormon on their own and use this blog to help them in understanding it. In my last blog I talked about the Gold Plates, their appearance and construction. This blog will continue on with the content of the Gold Plates. The Gold Plates were a unique compilation of other records put together by Mormon. The following is a short list of the records which are included in the Gold Plates. I’ll give a description of each in this blog. Helaman 3:13 And now there are many records kept of the proceedings of this people, by many of this people, which are particular and very large, concerning them. 14 But behold, a hundredth part of the proceedings of this people, yea, the account of the Lamanites and of the Nephites, and their wars, and contentions, and dissensions, and their preaching, and their prophecies, and their shipping and their building of ships, and their building of temples, and of synagogues and their sanctuaries, and their righteousness, and their wickedness, and their murders, and their robbings, and their plundering, and all manner of abominations and whoredoms, cannot be contained in this work. 15 But behold, there are many books and many records of every kind, and they have been kept chiefly by the Nephites. The Book of Mormon starts with the family of Lehi being directed by God to leave Jerusalem around the year 600 BC because of its prophesied imminent destruction. In 587 BC Nebuchadnezzar, King of Babylon, pillaged Jerusalem, destroyed the temple and carried many Jews captive to Babylon. That is the beginning setting of the Book of Mormon. Lehi’s son, Nephi, begins the narrative of his family’s journey into the wilderness close to the Red Sea and their eventual journey to the “promised land” of America. Thus begins the Book of Mormon. 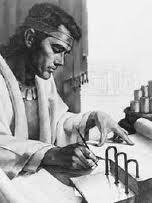 Nephi commences his record on what is simply called the plates of Nephi. 1 Nephi 9:6 The Lord knoweth all things from the beginning; wherefore, he prepareth a way to accomplish all his works among the children of men; for behold, he hath all power unto the fulfilling of all his words. The Lord indeed had a “wise purpose” in asking Nephi to make two records. Almost two thousand years when Joseph is translating the plates, part of the manuscript, containing his translated material to that point was stolen. That story deserves its own blog post! It will be forthcoming. The small plates of Nephi, include 1st and 2nd Nephi, Jacob, Enos, Jarom and Omni. In contrast to the “large plates of Nephi” they are not an abridgment. They are included in our current Book of Mormon exactly as they were written by the original authors. Historically the small plates of Nephi cover the same time period as the large plates up to the reign of King Benjamin around 130 BC. They are 143 pages and cover 470 years, although most of the material is concentrated on the writings of Nephi, his brother Jacob and Jacob’s son, Enos. Those three books occupy 138 pages and only cover about 200 years. As you can see 270 years are covered quickly in only five pages. The small plates of Nephi are a priceless treasure. Along with the historical narrative of Lehi’s leaving Jerusalem and traveling to the promised land of America, Nephi includes some remarkable prophecies, dreams and visions of both himself and his father. Prophecies of the coming of Christ, his ministry, death and resurrection are interwoven skillfully throughout the small plates. Jacob adds some important doctrinal chapters. In inspired language he assures us that the Jews worshiped the Father in the name of Christ. Jacob 4:4-5 For, for this intent have we written these things, that they may know that we knew of Christ, and we had a hope of his glory many hundred years before his coming; and not only we ourselves had a hope of his glory, but also all the holy prophets which were before us. 5 Behold, they believed in Christ and worshiped the Father in his name, and also we worship the Father in his name. The large plates of Nephi contain the books of Mosiah, Alma, 3rd and 4th Nephi. This section of the Book of Mormon begins in 130 BC and covers the very critical years preceding the coming of the Savior into the world. Mosiah, Alma and 3rd Nephi combined are 320 pages, but only cover about 165 years. This is a very concentrated focus on the teachings of the prophets, their missionary labors, the intrigues of war, the political machinations and the faithfulness and apostasy of both the Lamanites and the Nephites, and the preparation of a people to receive the Savior. Fourth Nephi covers the time after the coming of Jesus until the Nephites fall into complete apostasy, about 320 years. It is a very short, but powerful synopsis of these years. After Jesus three day personal ministry they created a ideal society in which they had their goods in common. There were “no poor among them,” and the love of God prevailed. This society lasted for almost 200 years! It shows us that through following the teachings of Jesus Christ perfect society can exist. Unfortunately after 200 years the society started to break down through pride love of wealth. They stopped having the goods in common. Individual wealth was stressed and class distinctions developed. These are powerful teachings for our day as we are to prepare for the Second Coming of the Savior. 13 And also the prophecies of the holy prophets, from the beginning, even down to the commencement of the reign of Zedekiah; and also many prophecies which have been spoken by the mouth of Jeremiah. The Brass Plates were their scriptures. They were essential for their spiritual survival. They were a record of God’s dealings with his children. They contained the gospel of Jesus Christ. They contained God’s laws and his words through the words of his prophets. From these Lehi taught his children. From these Nephi, his brother Jacob, and later in the Book of Mormon, Jesus himself, taught the people from the words of Isaiah. 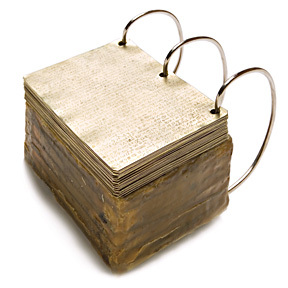 Later in the Book of Mormon Alma teaches the importance of the Brass Plates and their other scriptures. 1 Nephi 19:23 And I did read many things unto them which were written in the books of Moses; but that I might more fully persuade them to believe in the Lord their Redeemer I did read unto them that which was written by the prophet Isaiah; for I did liken all scriptures unto us, that it might be for our profit and learning. The book of Ether in the Book of Mormon is a unique contribution to the Book of Mormon in that it is a history of an entirely different group of people than the rest of the book. It is a record that was found on this continent during the explorations of a group of Nephites during the reign of King Mosiah. During their explorations they found “a land which was covered with dry bones; yea, a land which had been peopled and which had been destroyed.” Searching among the ruins they found a record of this people engraved on plates of ore. After the explorations they returned to their king and presented the record to him. It is a fascinating account of a group of people who were directed by God to migrate to this continent around the year 2200 BC. 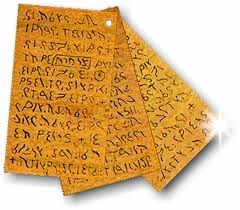 This record was included with the Nephite records which were handed down through the prophets. Moroni, Mormon’s son, later abridged this record and it is know as the book of Ether. 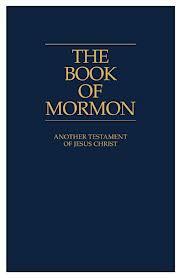 The Book of Mormon concludes with the personal writings of Mormon and Moroni, each with a separate book. Mormon witnesses and records the final destruction of his people, the Nephites. His record is a sad account of a once righteous people who were prepared for the personal ministry of Jesus Christ to a violent, degraded, uncivilized people who delighted in bloodshed. It has much to teach us about the effects of seeking revenge and refusing to call upon God. 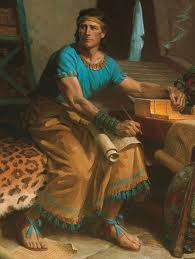 Moroni adds his abridgment of the Plates of Ether to the record, then adds some precious additional writings of his father in the form of letters and sermons. Before he buries the plates he closes the record with an invitation to his readers to pray and find out for themselves the truthfulness of the Book of Mormon. If the Book of Mormon is another witness of Jesus Christ, which it is, then you would expect its opening and closing words to bear witness of Christ. 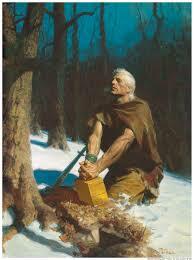 The very first chapter of the 1st Nephi begins with a vision which Lehi has of Christ. The Book of Mormon closes with Moroni’s eloquent and urgent plea for his readers to come unto Christ. I bear testimony that I have put Moroni’s promise to the test. I have read the Book of Mormon many times. 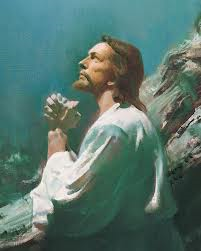 I have asked God, the Eternal Father, in the name of Christ, if it is true. I have received confirmations to my heart, mind and soul that it is true. I invite my readers to do the same. THE BOOK OF MORMON IS TRUE! My goal in writing about the Book of Mormon is to present its truths in a clear and concise manner to those not of the LDS faith. I have a firm testimony, born of the Holy Ghost that the Book of Mormon is true and it is a second witness of Jesus Christ and his gospel. This is my anchor. Monday evening we had the privilege of attending a Family Home Evening in the home of our good friends Paul and Cindy Middleton. Paul grew up in the same ward as Gracia Jones, who is a direct descendant of Joseph Smith. She told us her conversion story. She said that when she first held the Book of Mormon she heard a voice in her mind telling her that it was true. As she said that, the spirit bore witness to me again that it is true. Because of that testimony I am writing this blog and hope to eventually publish an e-book. My blogs are going to be part of that book. 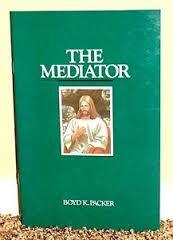 It was written to convince the world that Jesus is the Christ, the Eternal God. It was written by the spirit of prophecy and revelation. When a person “bears testimony” that the Book of Mormon is true, they are bearing testimony to the above truths. To understand the Book of Mormon it is important to understand its organization, and the times and the context in which it was written. Into this context we will fit the major writers and teachings of the Book of Mormon. We will come to know each writer and hear their specific testimony. They all testified of Christ, but each writer has their individual style and their particular emphasis. Joseph Smith was not the author of the Book of Mormon. He was simply the translator. Multiple writers contributed to the Book of Mormon. The title page of the Book of Mormon states the following: “An account written by the hand of Mormon upon the plates taken from the plates of Nephi.” Mormon lived around 315 to 385 AD. He had access to the many records written by various other prophets from the time that Lehi and his family left Jerusalem around 600 BC. The records had been engraved on metal plates. He had the onerous task of abridging these records into a manageable size. During this abridgment process he quoted verbatim several other writers. After Mormon’s death, his son, Moroni, completed the record, adding a few of his own words. My focus is to be true the purpose of the Book of Mormon to bear witness that the Book of Mormon is another witness of Jesus Christ. The Book of Mormon is unique in that though it is built around the history of a people, it is interspersed with doctrine, prophesies and a witness of Jesus Christ. That testimony is a “golden thread” running throughout the book. The story provides the frame work and lends continuity to its structure. The history and geography help put the Book of Mormon in the time and context of the Bible, both the Old and New Testament. “We may never understand nor comprehend in mortality how He accomplished what He did, but we must not fail to understand why He did what He did.